There are plenty of free WordPress themes available with new ones being released on a daily basis. That’s why we regularly publish the list of our favorite free themes in our showcase section. However, as we have mentioned above that support is one of the most important factor to consider when selecting a theme. 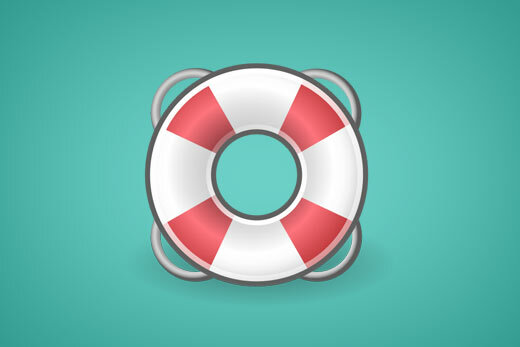 Free WordPress themes do not come with guaranteed support and updates. Most premium WordPress themes offer 1 year of support and updates. Here are some of the theme shops that we highly recommend. Installing a WordPress theme is really simple. First you need to download the theme’s zip file to your computer. After that login to your WordPress admin area and go to Appearance » Themes page. On top of the themes page, you need to click on the Add New link. This will take you to the add new theme page. You can use this page to look for free themes to install. But since we have already downloaded the theme, you need to just click on Upload theme link at the top. You will now see the theme upload box. Click on choose file button to select the theme zip file you downloaded to your computer earlier and then click on the Install now button. 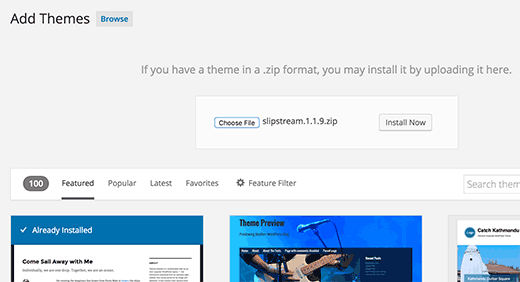 WordPress will now upload the theme from your computer to your website and install it for you. Once it is done, you will see a success message with links to preview or activate the theme. If you do not want to use a theme right away, then you can click on the live preview button to test out the theme without activating it. Please note that you will have to activate a theme in order to use it on your website. 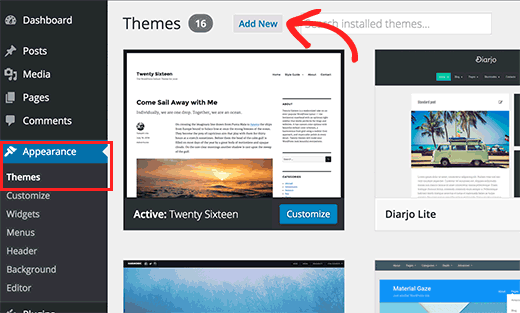 For more detailed instructions, see our beginner’s guide on how to install a WordPress theme. For new WordPress sites, you can just select the perfect theme and install it on your site. However, if you have a established WordPress site, then you need to properly switch your theme to avoid any effect on your site’s performance and SEO. First you need to understand what happens to a WordPress site when you switch themes. Here is our guide on what happens when you switch your WordPress theme. Some settings on your WordPress site will disappear and will not automatically apply to your new theme. You need to understand these things, and how you can put them back on your new theme. 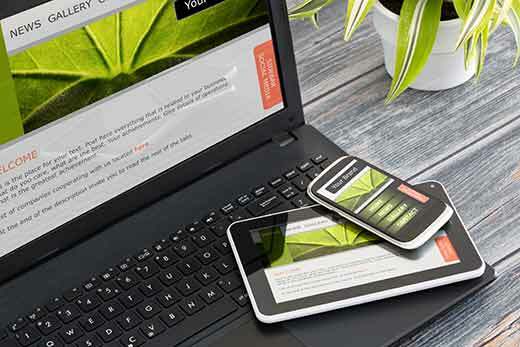 We have compiled a handy checklist of things you must do before changing WordPress themes. After that you need to follow the instructions in our tutorial on how to properly switch WordPress themes on your site. 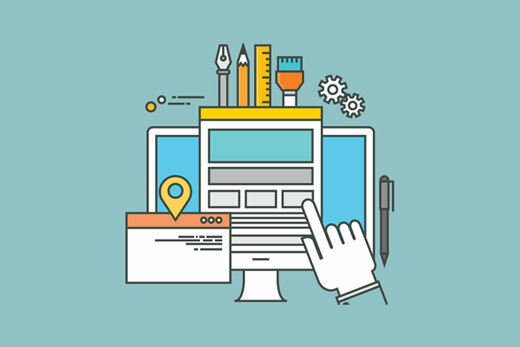 We hope this article helped you select the perfect theme for your WordPress site. You may also want to see our list of must have WordPress plugins for business websites. Thank you very much for this super helpful blog post, I am definitely going to link this out from one of my blog posts as it would be helpful for my audience. But one thing I think should be there on the above list which is ECOMMERCE READY THEME because at some point of the website owner’s business journey they might need an option on their website to sell some digital or physical products or even services. In this case, changing the entire theme would be a real pain for them, but if the theme of their website is already e-commerce ready from day one although they might don’t need that functionality right at the moment still they should consider that while choosing a theme for their website. Please let me know if you think that I am right with my thoughts. Most ecommerce plugins have improved where they do not need a theme to be specifically designed for ecommerce to add those features to a site. It is normally best to have a theme with the design you prefer rather than an ecommerce theme should you decide to add ecommerce to the site later. Hey, thank you for your kind response. You are absolutely right with your point that most of the e-commerce plugins have improved hence they don’t rely on themes anymore to create eCommerce functionalities. However, with great love and respect, I would say that I still believe that not each and every theme even that has all the above-mentioned qualities will guaranteed support ecommerce plugins. By the way thanks again for the awesome contents that you create to help people in need. Thank for sharing Very Useful Information. It seems that drag/drop site-builders for WP and themes for WP … both can vary in their respective levels of customization available. (1) Is a non-designer/non-coder ever better off using an “easy” theme without a site-builder plug-in? (2) In other words, are there some themes that have more customization or easier customization than the site-builders? I’m asking because I want to position headline text inside the top/right corner of a full-width hero photo on my home-page. Many site-builders tell me that this requires custom CSS coding which I am not trained in. (3) Do you know of any themes or site-builders that can allow me to do this without coding? What is the theme used on wpbeginner? It is a custom theme designed specifically for WPBeginner. I, like others, am having a difficult time deciding which theme to use as far as simplicity, reliability and support. I need a basic Staffing Agency (or Multiuse) platform. Just when I think I have found one I come across reviews of it being too complex or bad support or needing tons of additional plugins. How can I truly find a trusting theme that is simple to use, without additional plugins and good support if needed. I don’t mind paying for a premium theme if that is what is necessary. Many WordPress themes rely on plugins. Installing plugins is not bad. Please see our guide on how many plugins you should install. 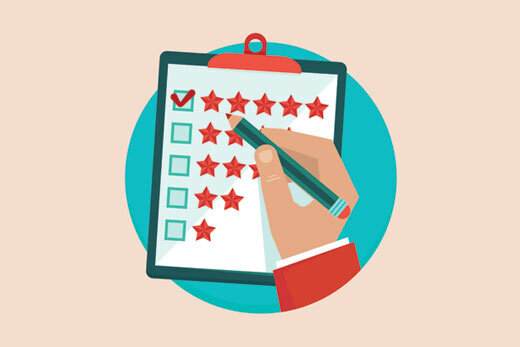 You should look for a theme that has good support, reasonable features, higher active installs or downloads, and balanced reviews. I am intending to use wordpress for an e-learning portal I am going to build. Can anybody suggest which free wordpress theme with learning management system that includes membership plug-in? learning WP is hard when you’ve been hand-coding for about 20 years!!! the site I have to build is for a wholesale jewelry seller… a one-person business…. as mentioned, it will need credit card processing, which scares me….. I have never implemented this functionality all on my own..
if you could in any way recommend some themes (free) I would appreciate it very much…. All standard compliant WordPress themes use best practices that allow them to work with any WordPress plugin. 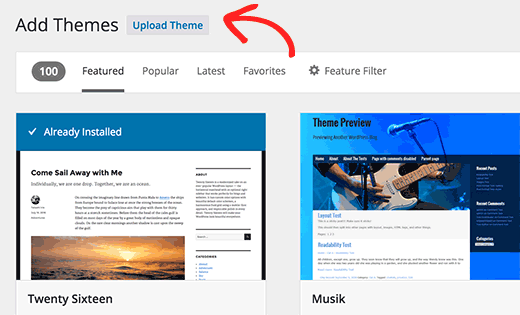 You can preview a WordPress theme with your site’s content by simply installing it and then clicking on the preview button without activating the theme. As for payments, there are a number of solutions that you can use. You can use PayPal, Stripe, Braintree, 2Checkout, and countless others. I have checked the demo page of the theme I am looking at with the W3C Validation page. It gives a handful of errors. I know I don’t need to worry about warnings, but what about errors? I am trying to find theme or plugin for the following need. So please help in directing me towards right them. I will really appreciate that. I am developing my own website. I am trying to develop collaborative website for my community of potters. And In that, I want to add following functionality. I want to be able to create unique link which I can send to a member of my group for participation. 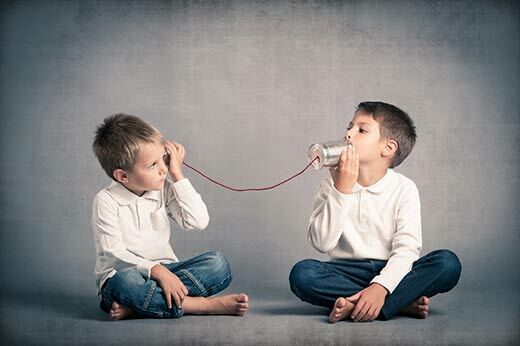 S/he can open the link and write his/her view on that particular topic with pictures and videos and audios. Once she complete, she can hit the Submit or Complete option below. Then, as admin I will get notification for approval and once approved, it will be seen on website. what is the best premium theme for news + affiliate + Coupon ? Please take a look at our list of best WordPress themes for affiliate marketing. I am building my first website. I am searching for the best free theme for wordpress. 3. ask for a quote. Please see our list of best free WordPress themes. I would like to thank you for the article, it is a bit helpful. But at the same time, its hard not to get frustrated. I have no background in HTML or the like and its been hard trying to get my site to look the way it looks the past few days. I am new to WordPress.org and I have heard every speech about how it is the way to go. But I am frustrated because I feel like I can’t make my blog look the way I desire it to. I am doing a sports blog and it seems like nothing will come together. And I am trying to find what theme suites my content best. It is a bit intimidating but I am going to try to hang in there. Any suggestions? Please check out our Theme showcases where we regularly publish our pick of the best WordPress themes. I am looking for a suitable theme with simple features, tried many but could not find suitable one, please suggest me right theme for me. 4. Comments at the bottom of each PAGE (I enabled comments from Settings / Discussion, but most of the themes not showing any box to post comments). Login not required for comments. What is the reason for the obvious blaring omission that the Automattic backed WooThemes is not listed among your recommended premium theme development shops? 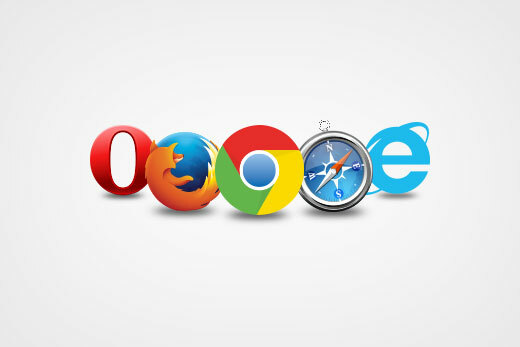 There are hundreds of theme shops, we recommend the providers that we use and work with on a regular basis. How can one test – before choosing a theme – whether it will be slow or fast ? Thanks for all the great information. L.
The only way to do this is to install the theme on a staging environment and run the tests. This way you will get to see exactly how slow or fast the theme will work on your website. Another thing you can try is to test the theme demo with page speed tools like Pingdom or Google Page Insights. 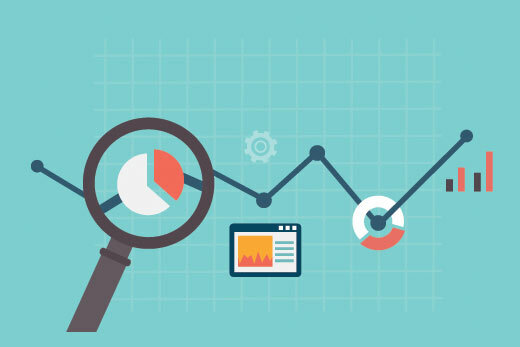 Results will not be able to accurately predict the performance impact of the theme on your website but you will be able to see some useful information. You may not find an exact match to your requirements. However, most WordPress themes are quite flexible and with little effort you can customize them enough to serve the purpose. Checkout these photography themes or see our guide on how to add an event timeline in WordPress. 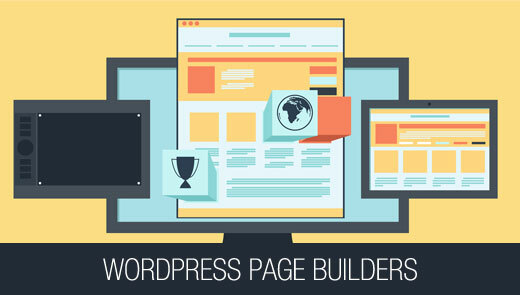 Thanks for the articles on pagebuilders and how to choosea WP theme. Yes you can use Google Fonts with some page builders. You can also load additional fonts if you need. Please see your preferred page builder plugin’s documentation on how to change fonts. Can you tell me What kind of theme WP Beginner is using?? We are using a custom theme. Hi … thanks a lot for the tutorial and links, really excellent. I’m totally new with WP, we’ve bougth the service from GoDaddy to build a website for our small company (automation and industrial robotics programming) . We have only industrial clients, our website only shows information about our services, no sales, no blog, chat or lot of pictures… we only need good SEO. Any suggestion about a institutional, clean and a little techno theme for us (free or not). 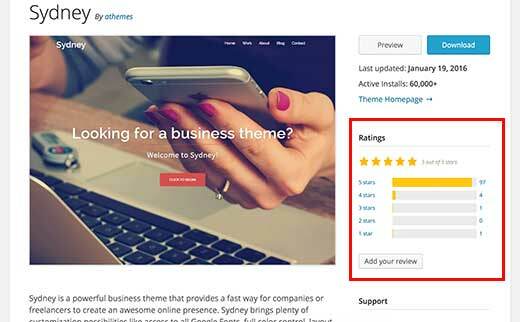 Please see our list of best WordPress business themes. Great page! I’m a newby and a bit of an IT phobe, but want to ttry WordPress. I need a themw which is easy to set up and change. I am a 1 person business, but I offer different courses and services. I need to change course dates regularly. I need an easy to read theme- which is a good one? Woud Iidly do? Any thoughts on how to find that? May one use, for example, BeaverBuilder, to do your OWN theme from scratch, assuming that you just don’t like anything “pre-baked?” Or does one need to start with an existing “canned” theme as a starting point and THEN use a page builder to make any wanted adjustments? Just not clear on that. Love the site, by the way. GREAT resource for newbies or the veteran. BeaverBuilder is a page builder plugin, which means you will still need a WordPress theme to build your layouts. BeaverBuilder is compatible with most popular WordPress themes and even has their own basic theme that you can use as an starting point. 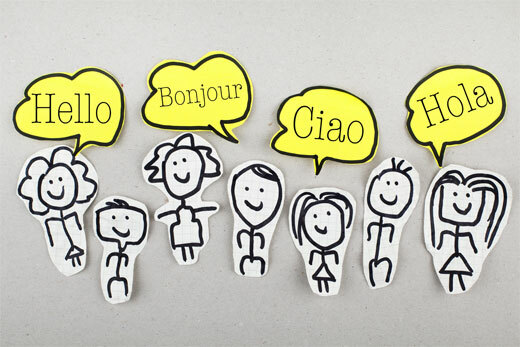 Please how to “Make sure that your WordPress theme is translation ready and supports multilingual WordPress plugins.”? You can check the theme’s website to see if they have mentioned its translation readiness status. If not, then you can ask the theme developer. I am a total beginner and everything I read makes me more confused. I bought BlueHost and I also bought a theme called Lotus and even had it “made to look like demo” but now I have absolutely no idea what to do. I can’t figure out how to customize it and since I bought it I’ve been told I should have bought something on the Genesis framework. I don’t even know what that means. I could really use some help. Your theme developer should have documentation on how to customize your theme. Remember customizing a theme is different than adding content to your theme. The theme only controls appearance of your website. 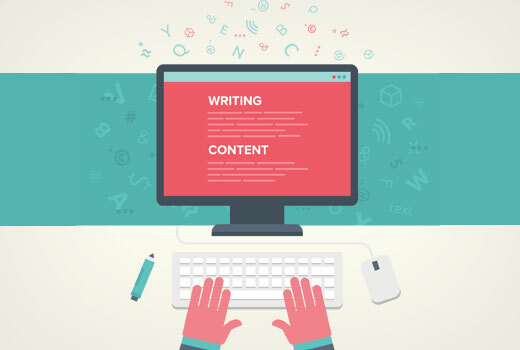 What Is The Best Theme For A Blog Website. Take a look at our list of these beautiful free WordPress blog themes. Could you please give your opinion of which wordpress theme you recommend for my site which is half done and my url is. Im using theme but it seem complicated and Im just a beginner, thanks. u should check the first mag. maybe it will help. Undoubtedly it is very difficult to find a theme that suits your niche. 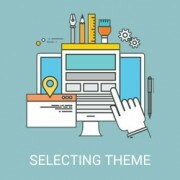 This article is very helpful to select the best theme. I do take care such things while choosing a premium theme. I enjoyed reading the post. I’m totally new to wp. I’m using siteground as my host. In wordpress, I selected a theme (iThemes Paige) and have begun using it for my site. If I go to the iThemes website the theme I chose has a price to download it. Is this a free theme or not? WP let me apply it without notifying me it had a cost. Under wp settings menu, I see that it says that “Builder Paige” is not licensed. How does this all work? Thank you! I have been finding the same thing. Even when purchasing from the host site, a price of say $49 shows up, then I get a message that I will have pay… I am also wondering how all of this works! 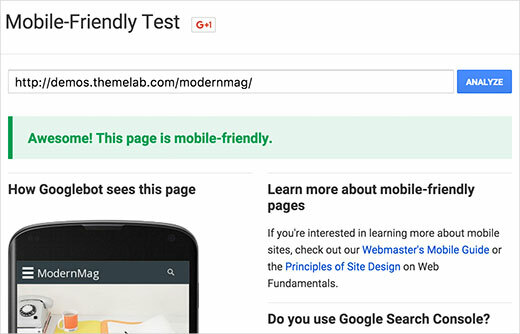 It would help your credibility if your own site passed Google’s mobile friendly test. It doesn’t. Very good tips for a theme shopper. Installed a free theme on my site and have developed it as far as I care to having seen the limitations. Now that I have a good “basic” understanding of word press I am ready to find and pay for a theme. This article has very good points to consider and I new feel I can go shopping with a much better understanding of what to look for. I am an absolute beginner ,saw all other sites about word press and they do not compare ! many thanks. Hi. I am using customizr at my site from last 5 years, I’m not web developer by profession but i keep updating site after reading tutorials. I have installed many plugins like Yoast SEO, wemaster tools, I also added meta tags, i have social share options and many other works. Presently, i am having an issue that my custom made menu is not up to my satisfaction. Menu Item 1 is ok and if there is 1.1 – 1.5 the next 1.1 doesn’t go exactly at right side. Someone suggested that it is builtin in theme. I thought of changing theme. If i change theme, will all my existing work stay with site? like current menu, added social links, removed breadcrumbs etc. You can use a custom CSS plugin to add your CSS. I learned many things from the above. Thanks a lot. Thanks! Nicely described. If any future update please notify me. Thanks once again. Planning a theme change and this article along with the linked resources is everything I need. Can you recommend W3C compliant themes that have been validated both CSS and HTML? they are very hard to find, most of the theme developers don’t validate the themes and tell you they are up to the W3C standards and they do not pass the test.